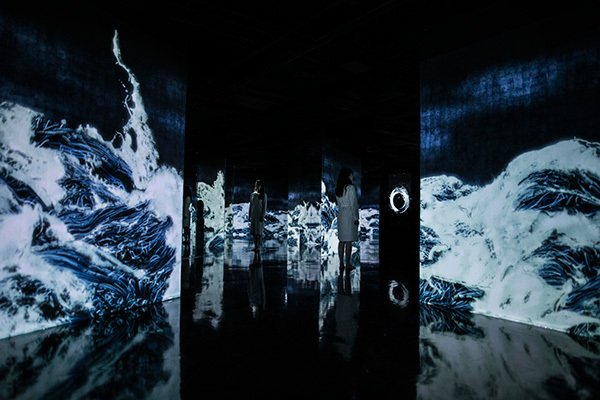 Shanghai will open a new cultural landmark on the west bank of the Bund on Saturday, when three exhibitions are set to transform a new art space built from five giant oil tanks into a wonderland of arts and imagination. The art space, Tank Shanghai, was created from five tanks once used for fuel storage at Longhua Airport. Built in 1917 by the Huangpu River in Xuhui district, the airport closed in 1966 and was demolished in 2008, but the tanks were saved. It took architect Li Hu and his international award-winning Open Architecture firm six years to reconstruct the industrial heritage into the art space surrounded by a park. Tank Shanghai will serve as a non-profit organization promoting contemporary art from home and abroad, said Qiao Zhibing, a leading collector of contemporary art, and founder of Tank Shanghai. The three exhibitions to open in celebration of the art space’s grand opening are diverse in subject and media, reflecting “unlimited possibilities of Tank Shanghai,” Qiao said. 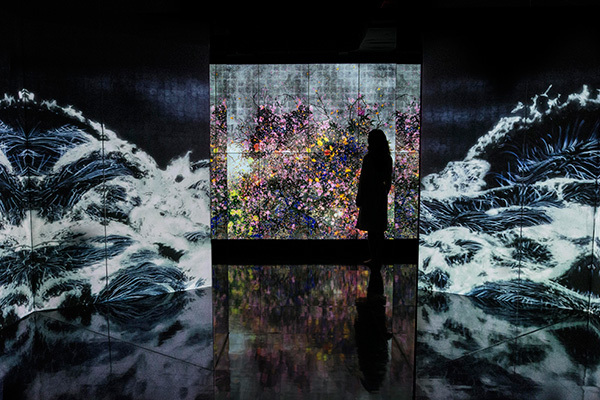 TeamLab, a renowned group in the global contemporary art scene that dabbles with new media, has created a site-specific project, Universe of Water Particles in the Tank. This is the debut exhibition of the Japanese art group in Shanghai. Visitors will have an immersive experience in Tank No 5, surrounded by a waterfall hanging from the ceiling, with flowers growing and blooming wherever they go in the interactive digital art show. The second exhibition at Tank No 4 features a group show of contemporary Chinese art, Under Construction. The third exhibition takes up tank No 3, consisting of fragments from a series of projects by Argentinean sculptor Adrian Villa Rojas known as Sometimes You Wonder, in an Interconnected Universe, who is Dreaming Who?